We got to our campsite around 6:30 pm. We had our specific tasks at hand. 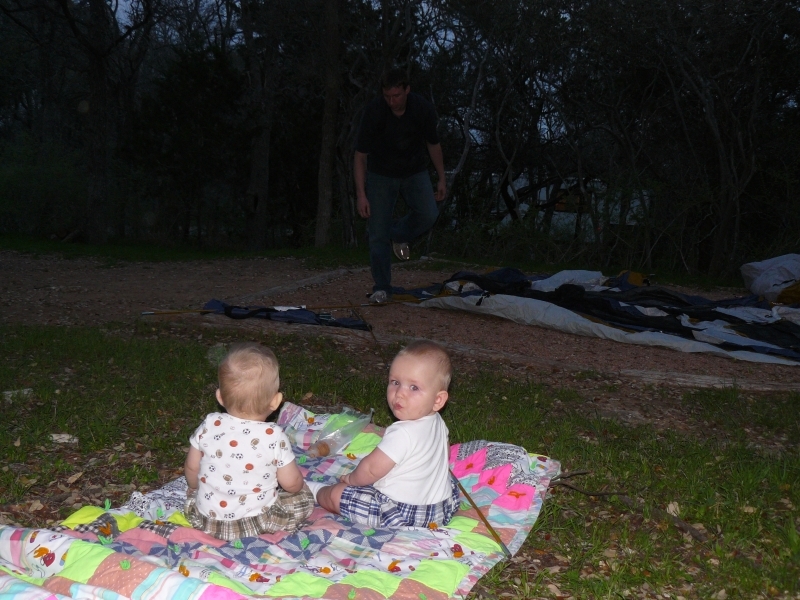 Paul would set up the tent, I was to entertain the boys. Paul's job was easier I think. Not really I just kept handing crackers to the boys, and they were entertained watching Paul do his job. Nice! They look so small in those woods! 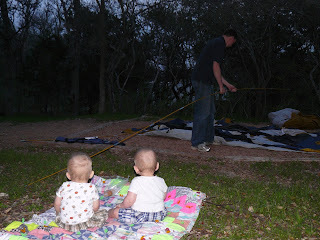 Once the tent was up, the boys had a great time getting ready for bed and exploring their bedroom for the night. To be honest, I really thought this was going to be a rough night. Once we got them to really fall asleep they were out until 4 AM. The only reason they woke up then was because Seth was sick of sleeping in the same position and started squirming and then he ran into Matthew. 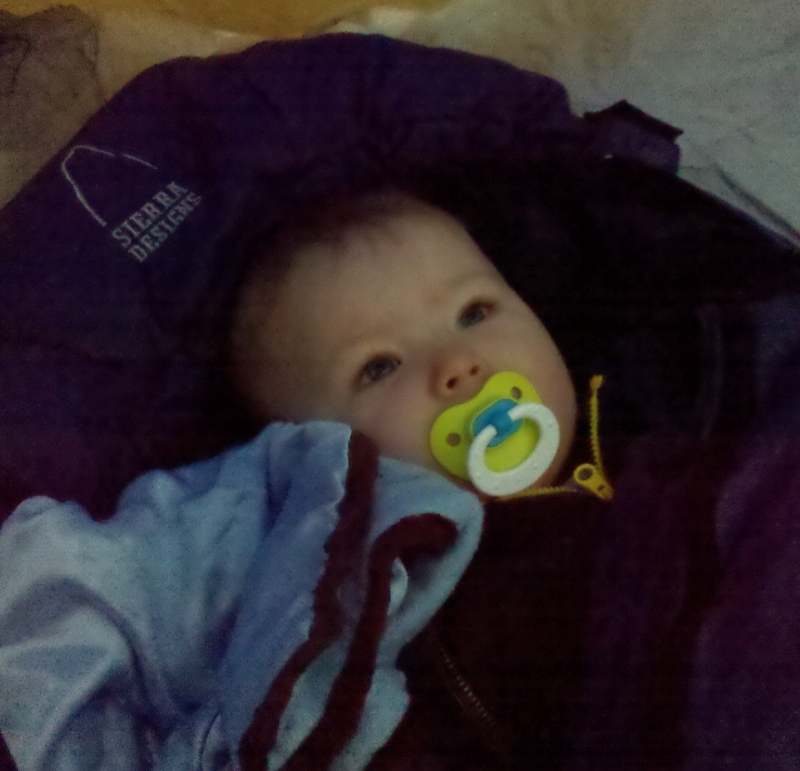 Seth checking out the awesome high ceiling in the tent. 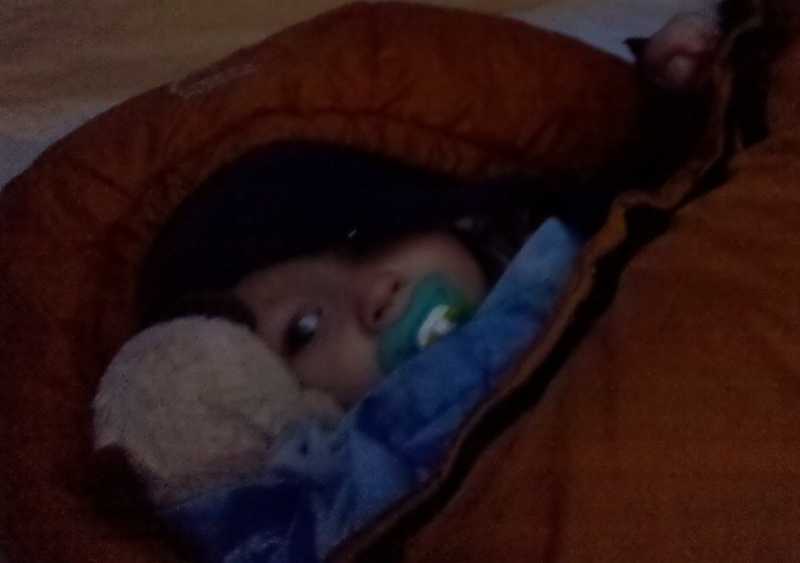 Paul didn't stake our tent down. 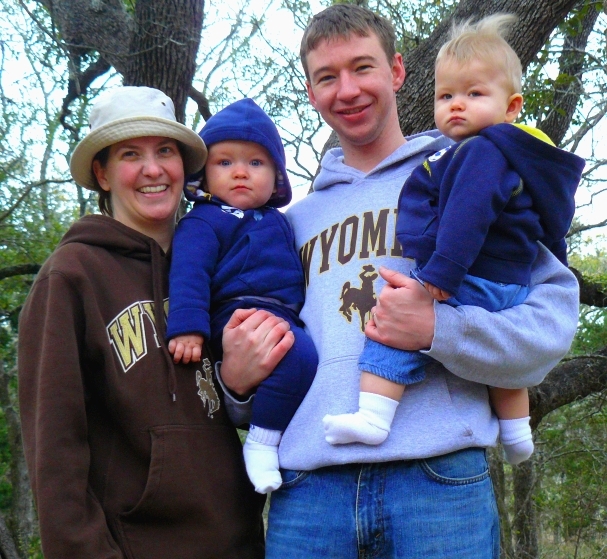 I am assuming because this is not WY? Around 6 AM the wind and the rain started. Apparently Wyoming sent a few gusts our way to humble us. Later that morning as we were packing things up and moving the weight distribution around in the tent, the tent started blowing over with us inside. Poor Matthew got the brunt of the wind damage. He had already fallen over and made contact with the hard ground, and when the tent started moving, it took Seth and rolled him onto Matthew, causing Matthew to again fall over. He now knows that while camping, the ground is always hard no matter where you move in the tent. It was kind of chilly with the wind and the rain. So we packed up everything and headed home around 8:30. And being close to home, we were back to our usual routine by 9:30. We did find it funny that we were camping with an international airport literally 5 min away. But hey, we weren't going to complain about the convenience seeing as this was our trial run. I have a lot of great memories camping with my family and so it warmed my heart to get to share this with our boys. I look forward making more with these guys! Crazy Texans- who camps in March!? i am so jealous!!!! we just had snow, UUGGGHHHH i am so ready for summer. 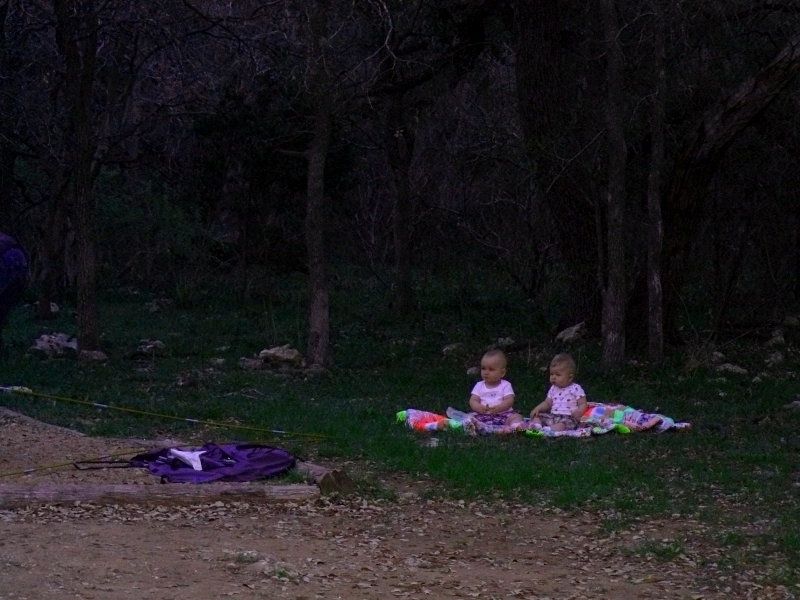 also, you guys are brave to go "tent" camping with not only one babe but two. i am impressed with your skills.